If you're going to be in New Orleans on Monday for the BCS National Championship you'll certainly have multiple options for food and beverage. Whether looking for a place to pre-game prior to heading into the stadium or looking for a spot to actually watch the epic LSU vs Alabama showdown, sports fans will be in a sea of college football frenzy in the Big Easy. I recently got to do a little hopping around to some interesting spots in downtown New Orleans. I checked out Ste. Marie, Capdeville, and Whiskey Blue. I've wanted to eat at Ste. Marie for a while so I was definitely excited to start the little trek there. The manager brought out three signature cocktails to help get us started with our evening. Beverage one, which really speaks my language, is dubbed the Scarlett O'Hara. It combines bourbon and gin with some soda to make a refreshing cocktail that is well balanced and flavorful. The food at Ste. Marie certainly impressed as well. 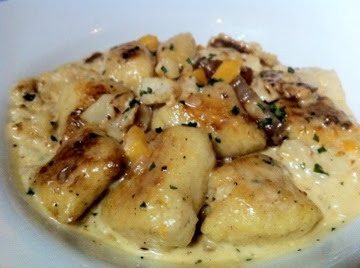 Their signature dish is a gnocchi with pancetta, butternut squash, and cauliflower. It is, quite simply, and amazing dish. The potato dumplings burst with flavor in the sea of delicious sauce that surrounds them. 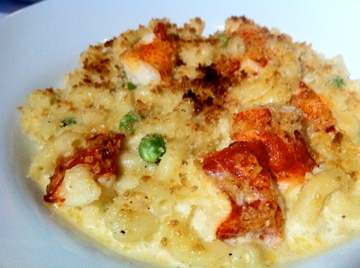 We also tried the lobster mac and cheese featuring large chunks of lobster knuckle meat as well as gruyere, fontina, and parmesan cheeses. 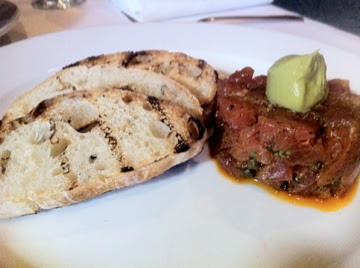 Finally, we cooled things off a bit with a superb tuna tartare. The raw tuna was flavored with coriander and topped with an avocado mousse. Ste. Marie will have multiple TVs with the game playing on Monday and will be serving a normal dinner menu. I'd call now to make a reservation before they run out of space! Capdeville is a bar and restaurant that is far more in my every day enjoyment zone. The gastropub is a rock and roll whiskey bar just a block or so off of Poydras. Their modern adaptations of some typical comfort foods can make anybody both intrigued to experiment and incredibly happy with classic flavors. Owner... ahem... Mayor James started us with a couple whiskey cocktails. 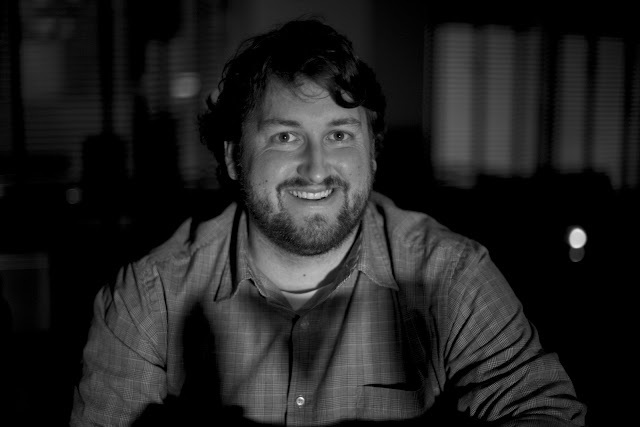 Actually, he started us with a little taste of a Utah whiskey that was a bourbon-rye blend. I didn't realized they made whiskey in Utah! Then we got a sample of the Speakeasy and the Dietzen's Whiskey Smash. The Speakeasy is a little Bulleit Bourbon with St. Germaine, a trendy elderflower liqueur, and a splash of orange blossom water. I enjoyed the beverage immensely! The Dietzen's Whiskey Smash, which has a story to the name that you'll have to get from James, is a play on the classic cocktail. It uses Rebel Reserve, orange curacao, lemon juice, and mint. As far as food, we got a sampling of the truffle mac and cheese, red beans and rice balls, and meat pies. The truffle mac impressed the Hell out of me because of its change from the norm. While it was mac and cheese, it wasn't ridiculously cheesy. While it said truffle, the truffle oil wasn't used in irresponsible excess. 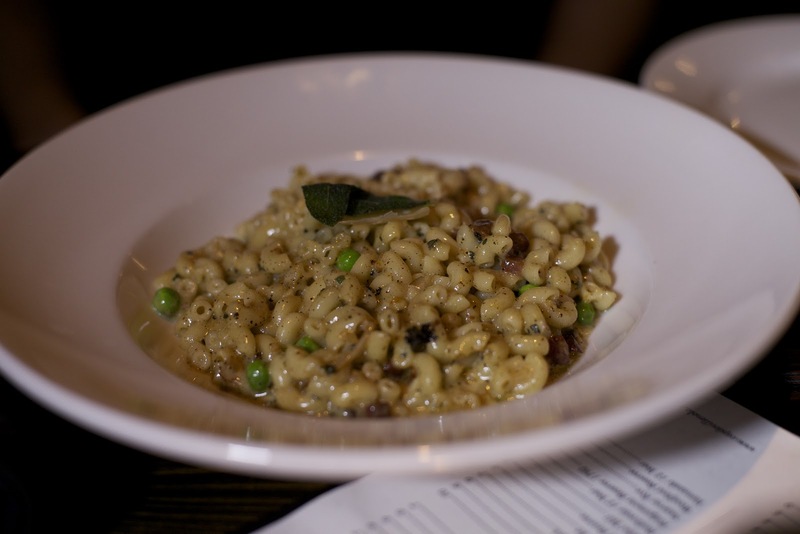 The dish also had parmesan, brown sugar, sage, and peas to create a memorable dish that should be tried, for sure. Of equal but entirely different note, the red beans and rice balls were interesting and quite delightful. Just like a boudin ball, the mixture is balled up, battered, and deep fried for delivery in a crisp shell of deliciousness. 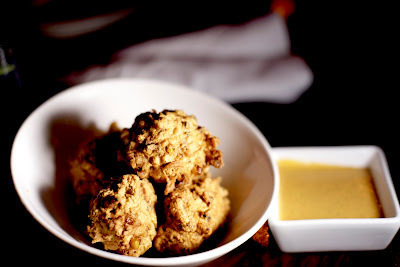 Paired with a green onion aioli and reduced hot sauce, these red beans and rice balls are not something to shy away from! Capdeville is open from 11 AM to 1 AM on game day so make sure to swing by before, during, or after the big party in the dome. 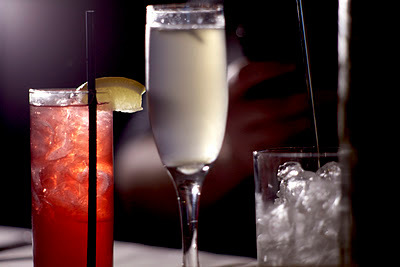 Finally, we also got to swing by Whiskey Blue in the W Hotel on Poydras. They had several cocktails to taste and a batch of crawfish beignets that I couldn't resist. We began with a black raspberry martini featuring Belvedere Black Raspberry Vodka, fresh raspberries, mint, lime, and a splash of champagne. It wasn't quite my cocktail of choice, but he next one I could drink over and over again. 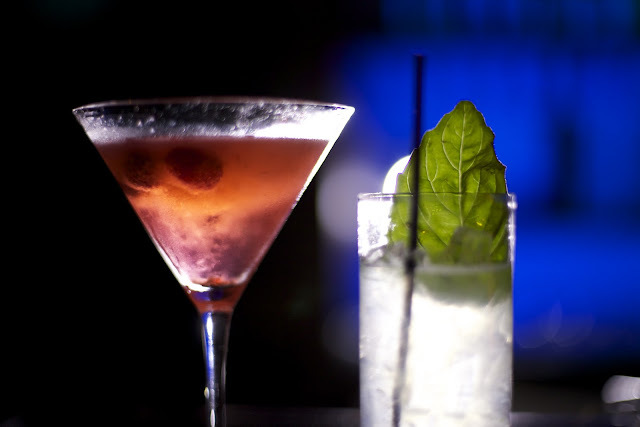 The Coconut Basil Gimlet used Ciroc Coconut Vodka, fresh lime juice, simple syrup, and fresh basil. The refreshing mixture took me to the beach while at the same time had a wonderful balance that didn't blow me away with unnecessary sweetness. When the order of crawfish beignets came out to the bar I couldn't resist diving in. How can you go wrong combining a couple of New Orleans's favorite foods? The beignets had crawfish and corn rolled into a great base and batter then fried to a crisp outside with a dense, moist center. The beignets themselves did not pack much of a kick, but plenty of spice came with a dip in the Creole tartar sauce that accompanied the beignets. Whiskey Blue opens at 5 PM on game day. After the game, from 10 PM to 2 AM, they'll have an event with a DJ, promoter, and no cover! Finally, let me finish by saying GEAUX TIGERS!! Happy eating and drinking! Great Post and Geaux Tigers! Love those Crawfish Beginets!